With the increased social media indulgence in our daily life, a want to have perfect pictures in every occasion has raised a lot. And an Indian wedding is just not any occasion it’s a huge lifetime event for anyone in life. Anybody who is getting married must want to have the best of the wedding pictures as these pictures are used for generations. As it is very well phrased “Old wine and old memories always tastes better with time”, and when it is about an Indian wedding, only an Indian photographer bring out the best in the pictures. There is no second thought about it. Before starting your search you must always know that wedding photography is very different from our normal routine clicks. In normal photography one needs not to be perfect, any naive can do that but when it comes to wedding photography, it’s always good to trust the professional wedding photographer. The perfect wedding photography is no less than a story one tells to other while going through the pictures. It can’t only be the pictures of the bride and groom dressed in fallalery and the others enjoying the wedding. 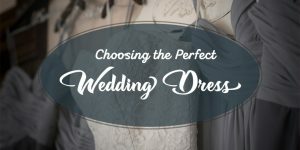 It’s your wedding and you would love to look your very best. There are professional wedding photographers who specialize only in wedding photography. Your job is to find out the best among them having a clarity in your head, what you want. A bit of research and recommendations from friends and from acquaintances always help! The first and foremost step in your search would be to know what exactly you are looking for. As there are many options available for the wedding photography already. Don’t just bump into some professional photographer to have your wedding pictures clicked by him. Always know, a good wedding photographer will inquire about you and your partner taking all the minute details about both of your, from how you met, to how close you both are, whether it’s a love or arranged marriage, all about the story of your relationship. It is only through knowing you, he would be able to give you the best of wedding story of both of you in the most beautiful and enchanting way. And if he doesn’t ask anything like this and only talks about his payment and budget, then I don’t need to tell you to leave the option immediately! Gone are those days when the options were limited. Now even photography has motley options to choose from depending on your budget, choice and preferences. Conventional methods have gone long back, now is the time for unconventional wedding photography. 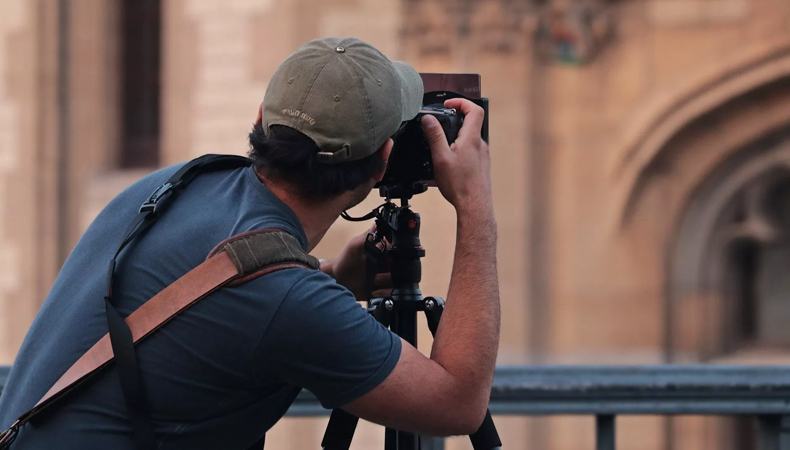 Now, there is hardly anyone who wants their photography to be done in the age old way. Now newer and not-so-conventional styles like wedding photojournalism, Candid Photography, Fine art, contemporary, or Studio are very in, and you will love the unconventional styles of photography once you have a glance of any. Which one do you want? Once you finalize the style of your choice, your job is to look for someone who specializes in that style of photography. Indian wedding photography packages vary in various manner from photographer to photographer, depending upon several products. Wedding photography services are a combination of many products like Traditional Still Photography, Candid Still Photography, Traditional Videography and Wedding Cinematography, then there is pre wedding shoot it can be combination of still photography and videography. You know there is too much a photographer can provide to you, a photographer consider many components before giving the final costing to the customer. Also, it will be difficult to book separate services and manage different teams. So, customized services are offered in one package which includes two or three products altogether to get the most budget friendly package to the customer. One can add either or take away the products, which off course affects the cost of Indian wedding photography packages. You can always choose wedding photography package as per your best budget. Any Indian wedding be it large or small sized costs money. A wedding is an expensive affair – everything is costly, from jewellery, to arrangements. But, the truth can’t be ignored that the wedding happens once in a lifetime and paying for good photography would be worth it, what do you think? You were waiting for this, weren’t you? If budget issues are whirring in your mind all the time. 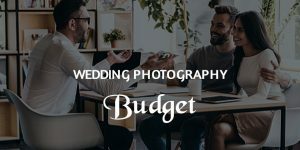 In that case, you can always plan to save beforehand for your Wedding Photography Budget, as you do for other expenses. Unlike our parent’s weddings, photography has become a very important and an integral part of Indian weddings today. If you want perfect pictorial memories for your generations to come, you must start saving from now. The average normal cost that you can expect from a professional photographer is on an average from 25,000 to 35,000 INR. The maximum can go in few lakhs. You can choose according to your budget. It’s not a photographer but his work speaks for him, a professional photographer will always have his work with him to show his customers. And if the person doesn’t have anything to showcase better chuck the idea off your head as he is not Mr Right photographer for you as your wedding is once in a lifetime event, not an experimentation with people to try with, isn’t it? Have a detailed talk with him, about your expectations, your budget, your venue, videography, pre-wedding shoot, about everything. Have clarity in advance, only when you are convinced with him, Book him then! Otherwise, there are many in the market, get the best wedding photographer and make your wedding the most memorable one. Urbanclap is one of the leading startups in India growing at the fastest rate. Very much online, offers 80+ services at your doorstep in order to help you and also the local service providers. It was founded in 2014 by Abhiraj Bhal, Raghav Chandra and Varun Khaitan. They have a team of professional photographers who undertake various events from wedding, to B2B events. Their services are in Delhi, Mumbai, Bengaluru, Hyderabad, Kolkata, Pune, Chennai and Ahmedabad. Canvera Digital Technologies Private Limited was founded in 2007 and is based out in Bengaluru, India. Ranjith Yadav serves as the MD (Managing director) of this company. 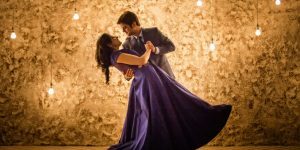 They offer India’s most comprehensive photographer’s directory, cover events from weddings, to maternity and serve in Delhi, Mumbai, Chennai, Kolkata, Hyderabad and Bengaluru. Bro4u is an E-commerce platform for 50+ services which includes photography services also. Pramod Hegde, in 2015, with his 15 friends founded Bro4u. They offer Photography services ranging from pre-wedding, to destination wedding etc. They have a team of professional and dedicated photographers who work hard to get their customers the best results. It operates in Bengaluru, Hyderabad and Pune. It is growing at fast pace and will very soon be expanding its service in other major cities of India. Flatpebble is an online destination providing wedding related services which include photography, catering, makeup, etc. It was founded in 2013 by Venkatesan Seshadri and Pranav Mehta. It offers its services in more than 100 cities with 800+ photographers across the country now. Having specialization in wedding photography, they expanded their services and started baby photography, events, product photography, food photography etc. 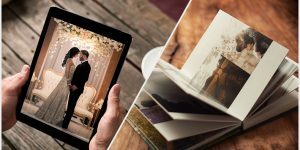 Since you have online platforms to search for your choicest wedding photographer, all you need to do is to interact with each and talk about your needs with them. 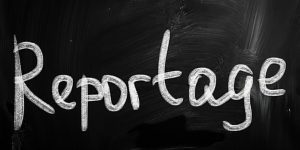 While searching online, you have myriads of options to choose from, just post your details on their page and within few hours you will have a large list of photographers. As it is free, nothing to worry, interact with as many as you want! You can also download their apps for your convenience. And, old method of reference and recommendation is always in your hand to go ahead with. Keep smiling ☺ ☺ as it increases the value of your face and your picture!! What are the modern trends in Pre Wedding Shoots? What is difference between Candid Photography and Traditional Photography in wedding? How to avoid stained bright yellow skin on your haldi!